By joining the CruiseOffers.co.uk VIP Club for singles cruises you’ll be alerted to exclusive special offers for single cabin availability from leading cruise lines. It sometimes seems as if there are cruises for everyone – young couples, families, older couples and more. Yet trying to find singles cruises can be something of a challenge. However it doesn’t mean they don’t exist. The main thing to remember is that single cabins tend to be very limited. This means it is wise to book early when you do find a cruise that appeals to you. Alternatively you may be able to get a single supplement for a double cabin, so watch out for this option too. 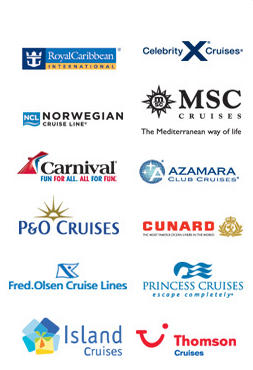 If you join the CruiseOffers.co.uk VIP club we will keep you informed of the best UK deals via email. Many of these offers are never released to the general public. Read on more for info about singles cruises or sign up to the VIP club above – it’s fast, free & easy. Are there any cruise companies that specialise in singles cruises? Solos is a holiday company that provides a wide range of singles holidays including cruises. Iglu cruises also have many singles offers, some of which have no supplement, so this is also worth a look. Other cruise companies also offer cabins for single people, but remember to check early as they tend to go quickly. Costa, Cunard, and Fred Olsen all have a certain proportion of single cabins on their cruise ships. What should you expect when taking a singles cruise? A singles cruise is actually a lot more sociable than you might think. If you were to fly to a particular destination and stay in a hotel, you may find it more of a challenge to mix with people than you would on a cruise ship. This is particularly true if you manage to go on a cruise that is more heavily focused on single people, although there is no need to be concerned if you book a single cabin on a regular cruise. Those in charge of the cruise ships do their best to ensure everyone is seated with people they are likely to get along with. For instance they may put two or more single people on one table at dinner, so you will never be left on your own. Is it easy to meet lots of new people on a singles cruise? It’s actually easier than you might think. Everyone is restricted to the cruise ship while they are travelling from place to place, so it gives you time to explore and to get to know the single passengers who may also appreciate some company. Another thing worth looking at is the existence of various activities you can get involved in. For example many cruise lines offer lectures, classes and other activities you might enjoy. Many single passengers will be looking at the same activities so this is another nice way to meet new people. As you can see there is a lot to look forward to as a single person heading off on a cruise. You can always take a short two or three day cruise on your own to begin with if you are unsure whether you would like it or not. However many single passengers find cruising an appealing and sociable way to enjoy a great holiday abroad. Just remember to look up the available cruises as early as you can, to get the best choice of options available to you.